I have spent a day with the high-end version of the new Lenovo Yoga 910. It normally costs $1499, but you can find a special glass lid version at Best Buy for $1299. That price includes a gorgeous 13.9-inch 4K screen, a 7th-generation (the latest) Intel Core i7 processor, 16GB of RAM, and a 512GB SSD drive. If you think $1299 or $1499 is expensive, the 15-inch MacBook Pro with the same specs (except the Pro has the 6th-generation processor) costs $1000 more. It all sounds too good to be true, and in a way, it is. 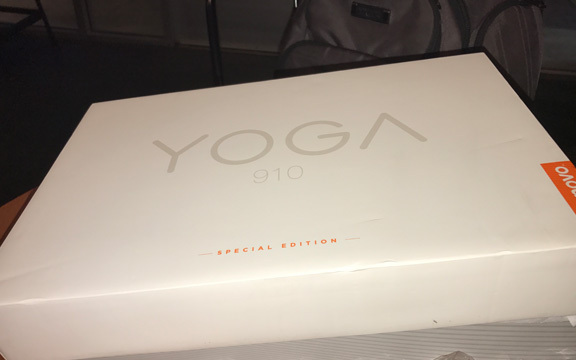 The 3 lbs Yoga 910 comes in a rather small box. The screen is certainly the most exciting thing about the new Yoga. The contrast ratio and color accuracy doesn’t get to new MacBook Pro levels, but the 4K resolution makes things crisp, clear, and beautiful. Some say that the advantages of a 4K screen on a 14-inch or 13-inch laptop isn’t really noticeable, but it certainly is here. 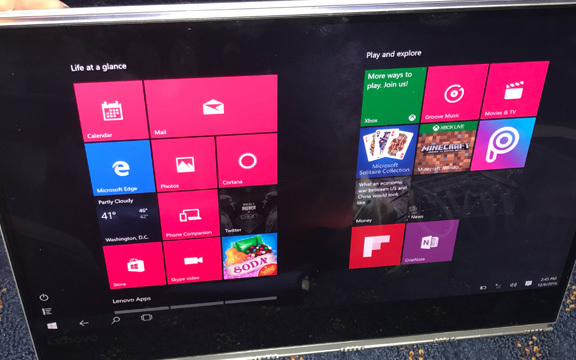 The only problem is that a 4K screen eats up battery life faster (more on that soon). The Lenovo Yoga 910 has a beautiful screen. 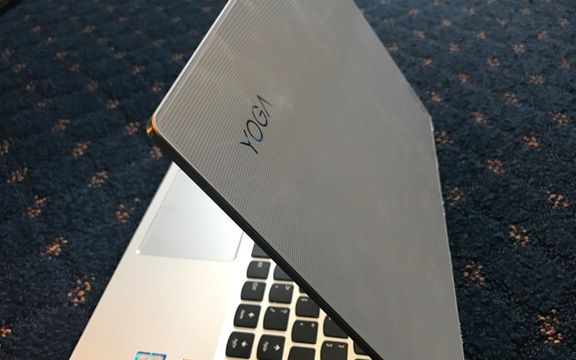 The Yoga 910 has a sturdy industrial build, although to make it a convertible laptop, they had to make the bottom bezel huge. Overall, the 910 feels as sturdy as almost any PC on the market, but at 3 pounds, it weighs a little more than it should for an ultrabook. Then, there is the keyboard, which is slightly disappointing – at least as first. The right “Shift” key is a small key all the way to the right. You will certainly miss it and accidentally press the “Up” key instead, which sits where the “Shift” key should be. That’s where a program like SharpKeys comes in and lets you remap the keys. Overall, the typing experience on the 910 is average once you remap the keys. The Lenovo 910 currently has the loudest laptop fan, but Lenovo plans to fix this. There is one major flaw with the Lenovo Yoga 910, and it is a pretty major one that has been discussed in a lot of forums. The fan noise out of the box is intolerable, especially since it has a high-pitched cry to it when running at its highest point. There is a trick to make it more tolerable — set the maximum processor speed to 99 percent. That way, it avoids going into Turbo Boost. Even after doing this, the fan is still somewhat of a problem, but a tolerable one. 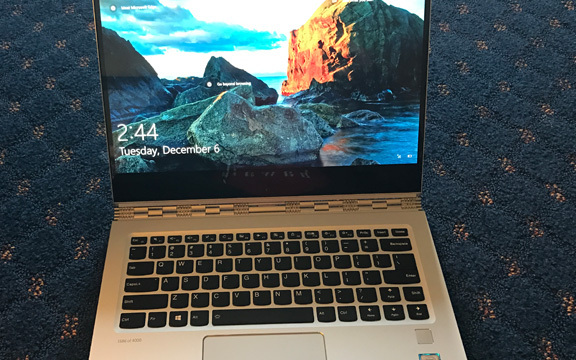 This entry was posted in Review and tagged Lenovo Yoga 910, MacBook Pro. Bookmark the permalink.